Encephalartos turneri is an extremely rare plant from Mozambique. It grows in the Nampula region in north-central Mozambique central Mozambique, in a habitat dominated by granite rocks on the tops of mountains. 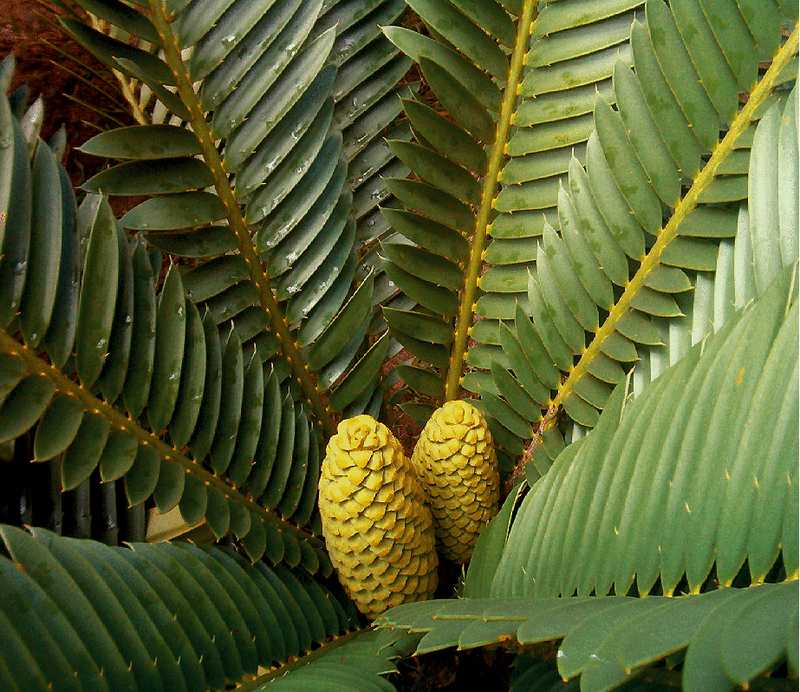 Please click here to see a larger detailed image of this plant, by Pedro Capela, Jr.
Encephalartos turneri grows to become a medium sized clumping cycad. Its leaves leaves grow to 6 feet long, with dark green, leathery leaflets. These very thick, boat-shaped leaflets become cupped as the plant matures. Over time, Encephalartos can grow to a height of 10 feet, with up to 4 erect or separatetrunks. These trunks initially exhibit themselves as multiple offsets on the young plant.